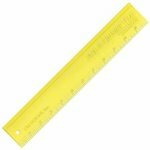 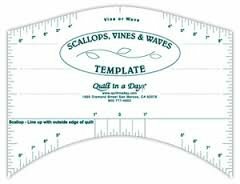 Add A Quarter Plus 12" Ruler simplifies foundation piecing. 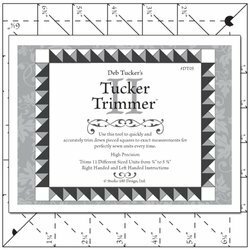 One edge is tapered for folding back foundation paper and the other side has a 1/4" lip so you can quickly trim the seam allowance with your rotary cutter. 2" x 12" ruler. The Tucker Trimmer tool was designed to help quilter's quickly and easily trim down units that are made with triangles.